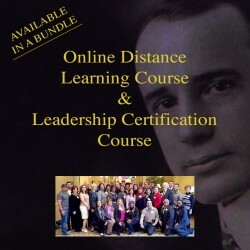 Save $100 off each class when you buy both the Online Distance Learning class and the Leader Certification course at the same time. Note you are not locked in to a specific Leader Certification event -- you may change this if you need to wait for another class at a later date, for example. See below to select your class dates. 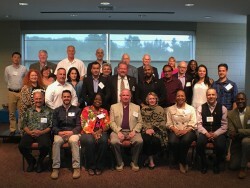 Leader certification classes are conducted one or two times per year, at The University of Virginia's College at Wise in Wise, Virginia. This price includes ONLY tuition for the class itself. Travel costs are separate. 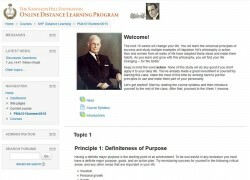 This online distance learning course presents and examines the principles of success researched and developed by Dr. Napoleon Hill and others. It provides a framework for students to better understand life's opportunities and the need for definiteness of purpose. The course is structured around the 17 Principles of Success. También disponible en español. Note: This is step 2 of the 3-step process of achieving the Napoleon Hill Foundation Leader Certification. Spring 2019: begins January 7, 2019 Summer 2019: begins June 3, 2019 Fall 2019: begins September 3, 2019 No registrations for the current semester are accepted after the first week of class.